The Gospel of today begins with the episode when Jesus goes back to his hometown, Nazareth along with his disciples. According to Mark, Jesus had been preaching and working miracles in Galilee for many months. He had spent most of the time in towns and villages around the Sea of Galilee. Before leaving Galilee he paid a visit to his home town Nazareth where he was to meet with total disappointment. 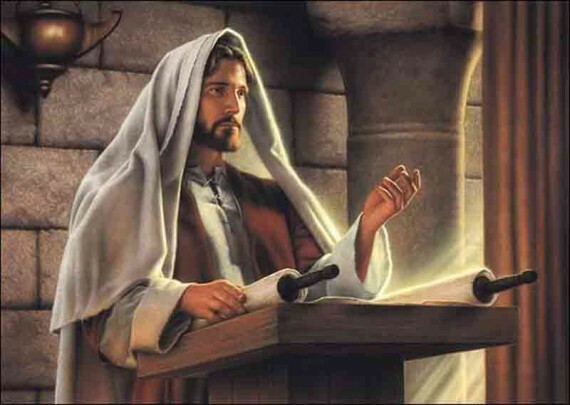 He went to the synagogue on Sabbath day and began to preach there. His fellow townsmen had heard about his fame, the extraordinary miracles he had worked around the other towns of Galilee, and the way he attracted huge crowds around him wherever he went and preached. Many of those who heard him for the first time in their own synagogue were astonished at his wisdom and learning. They wondered about the source of his wisdom for they were aware that he had studied to be a Rabbi and they could not understand the miraculous powers he possessed. All these years of stay in the village, they knew him as a person one among them, an ordinary carpenter. They knew his mother and father and all his relatives. They were too familiar with him and knew him too well. They could not even think of the idea that he could be the messiah or anyone extra ordinary. They began by being astonished at his preaching but they ended up by shutting their eyes to the truth and refusing to believe that he could be what others thought or said he was. For them he was their neighbour and they knew him too well. The Gospel of Mark tells us how Jesus took his missionary task seriously and served God the Father in obedience and humility. He was truly the person who carried out the prophetic and messianic mission among his people. It is something each of us needs to remember that we too are missionaries and prophets like him. Every one of us, simply because of our baptism, has been called to be a prophet. We have all been called to spread the message of the Gospel in our families, in our working places, among our friends, in our society. Whatever is happening around us, our task is to prepare to proclaim and defend truth, love, justice, freedom, people’s rights and dignity. There are some things over which we cannot compromise; there are some times when we cannot keep silent. The people of his village did not hear the message because they were blinded by the familiarity of the person. The same thing can happen to us all the time. God is constantly speaking to us through the people we know, through things that happen to us, through situations in which we find ourselves. Again and again we do not recognize his voice, his message because he is speaking through someone we know very well, or someone we do not like, or someone who is a total stranger or a foreigner. Jesus now makes a sad comment on his townspeople. 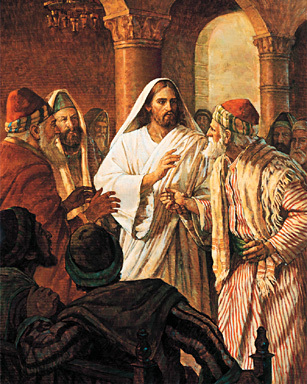 “A prophet is only despised in his own country, among his own relatives, and in his own house.” While people in other places greeted Jesus with enthusiasm and hung on his words, his own townspeople, his own family wrote him off, treated him with cynicism. So let us too not be discouraged by our shortcomings – spiritual, psychological, social, physical. God wants us to be his instrument. He will stand by us and give us what we need when we need it. There is a story told that soon after she took over the house beside a Hindu temple in Calcutta where she cared for the destitute and dying, some people complained, accusing her of proselytism. They wanted her evicted and appealed to the police. When a senior police inspector went to the house to see the situation he was both overwhelmed and appalled. The Officer was overwhelmed by the loving care that was being given to the most wretched of people and appalled by the terrible stench of disease and death. He went back to the critics and said he would evict Mother Teresa if they would be willing to take over the work. No more criticisms were heard. They were not prepared to empty themselves as she was.